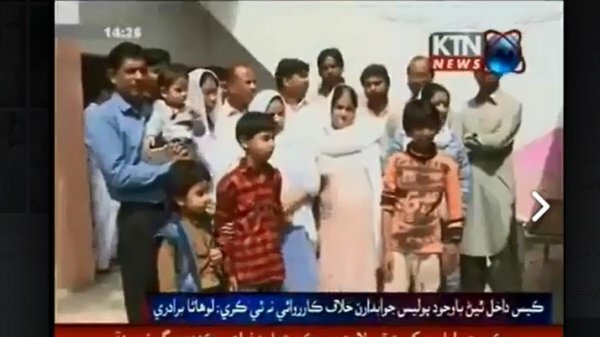 Cruelties against the Sindhi Hindu community continue widespread in Pakistan. In a press release, the World Sindhi Congress (WSC) condemns the most recent attack against a Sindhi Hindu family, this time in the village of Darya Khan Marri. Helpless, the vulnerable population – including women, children and disabled - is increasingly targeted by gangs. Unfortunately, the Sindh government is not putting attention to these gruesome attacks and has consistently failed to protect its people. World Sindhi Congress (WSC) is deeply saddened at the heart wrenching story of inhumane violence against a Sindhi Hindu family in Darya Khan Marri village in Sindh. Early in the morning on 8th of April the family was attacked by scores of gangsters, including in-service policemen, armed with lethal weapon, when they refused to pay the ever increasing protection money to the gang. The gang badly ransacked the property, humiliated and bet the residents including women, children and disabled. As a result of their beating an old and disabled member of the family died. The gang wanted the family to vacate the house where they have been living for many decades so they can occupy it. The gang also has been occupying the place of their worship, an old temple. The police and relevant administration sadly refused to provide any rescue to the family and declined to register any FIR (First Investigation Report) of the incident. Unfortunately, until now no progress has happened except the lip service, not a single perpetrator has been arrested. World Sindh Congress (WSC) believes that this incident is not only one of its kind but sadly typifies the suffering and punishment of Sindhi Hindus, who are the indigenous people of Sindh. WSC recognizes that in this, and other such incidents, the failure of Sindh government to protect vulnerable section of Sindhi people is shameless and criminal. WSC demands from the Sindh government to take immediate action to provide protection to the effected family and bring perpetrators to justice. With little hope in the government, WSC requests Sindhi political and civil society to protect their people who are under attack. WSC will raise this issue with the international human rights organization to press upon Pakistan government to provide rescue to this family and all religious minorities, who are in a dire situation in Pakistan.